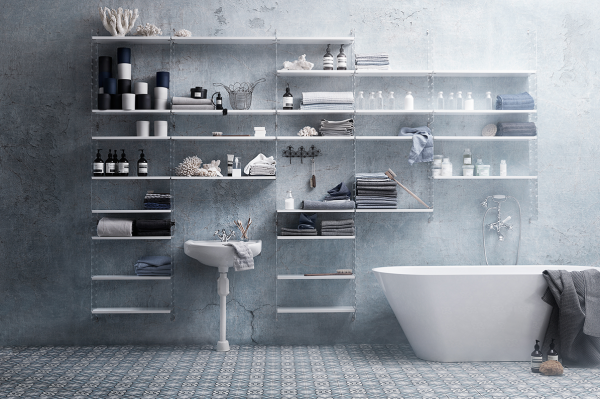 An important piece of furniture, it's worth doing your research when it comes to shelving, to find a solution that works best for you, and how you like to live. 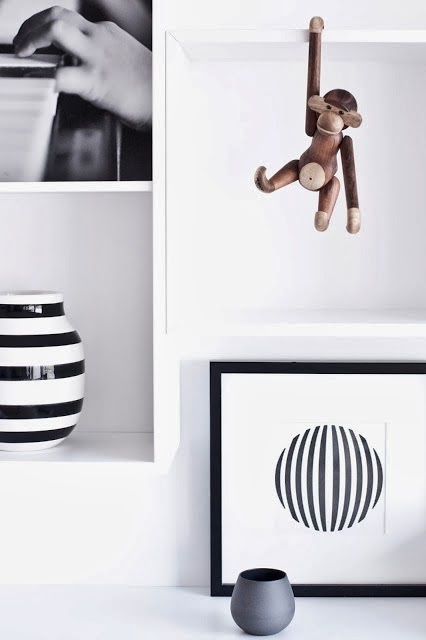 I'd recommend thinking about what it is you'd like to display, such as books or decorative pieces. Do you like to have some things on show, hide stuff away, or a bit of both? 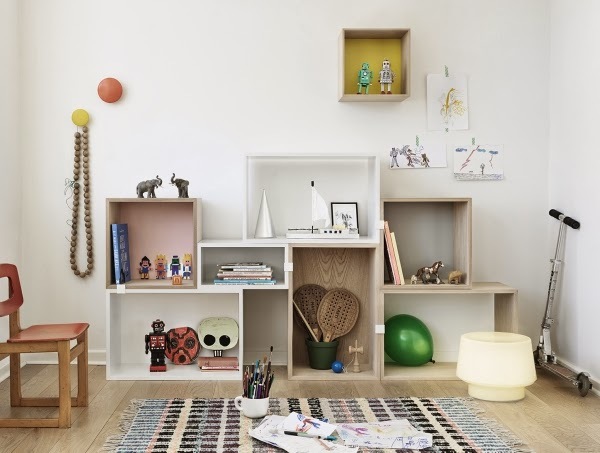 I love the look and flexibility of boxed storage, so the Stacked Shelving system by JDS Architects for Muuto is a favourite. Made from painted MDF there are different sized modules for you to configure as you please, whether placed in the living room, bedroom, or even the hallway. 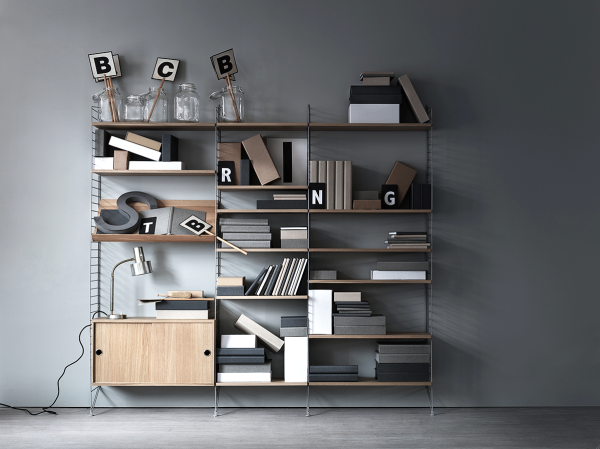 Another Scandinavian shelving system that is all about versatility is the String. On the top of the wishlist for our new home, we couldn't be happier with ours. 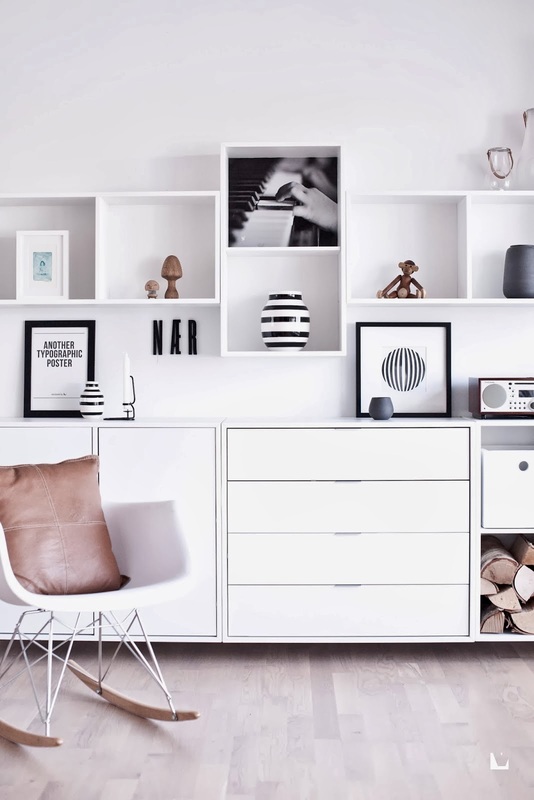 Not only does it fit in beautifully with our home's Scandinavian aesthetic, the cabinets provide great storage, we can display the things we love, and extend it down the track. It's also like my little playground when it comes to styling! Providing fresh inspiration, I just had to show you these fabulous new images. Recently discovered, they have been styled by the very talented Lotta Agaton and photographed by Marcus Lawett. 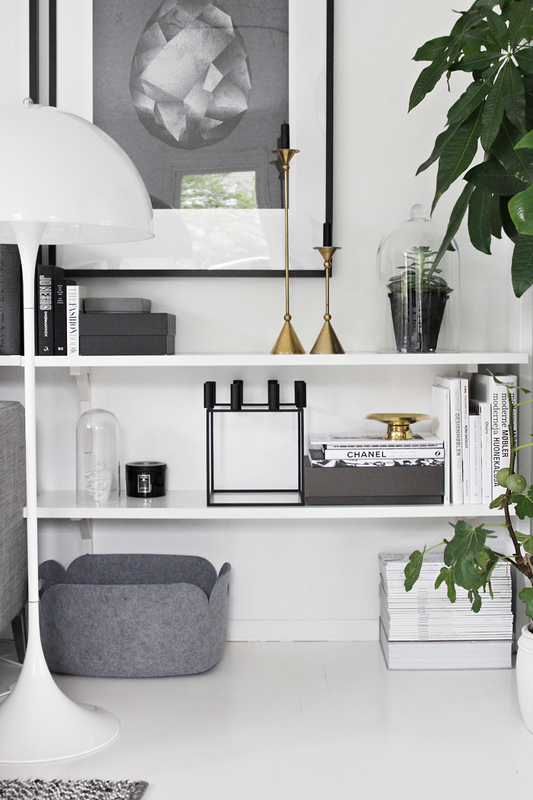 While stunning, these Scandinavian design pieces can be expensive, so I wanted to show you some more affordable options, including some DIY inspiration like the box shelving below, via the lovely blog Vedsidinav. 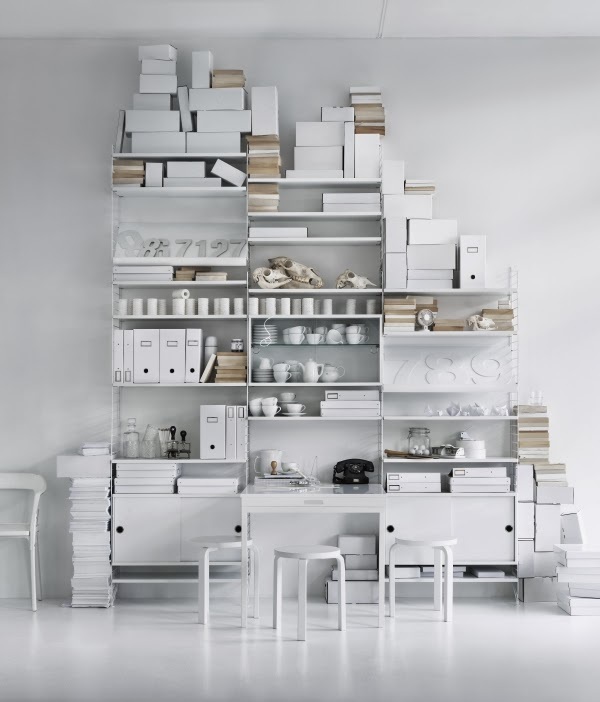 I also think this shelving idea by Nina Holst of Stylizimo is brilliant. 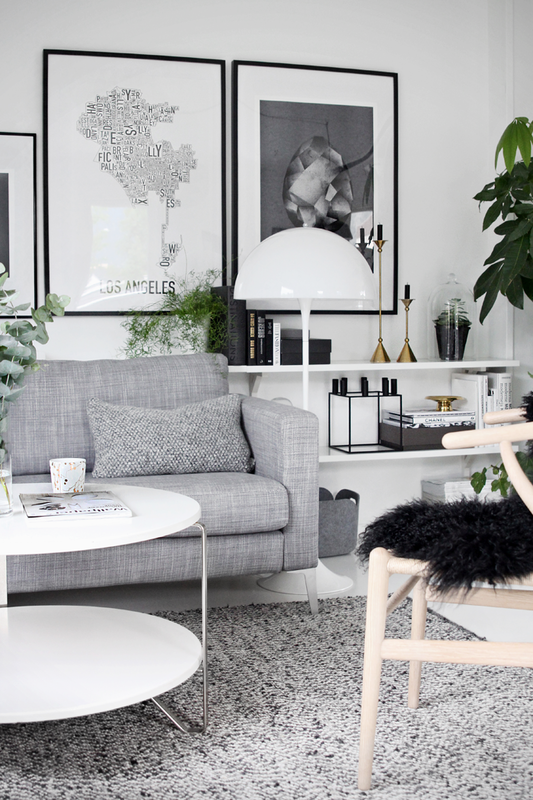 Cleverly customised from simple Ikea shelves cut to the right size, it fits in perfectly behind the sofa. The lovely display of books, candles and other stylish pieces beautifully compliments the picture wall above. 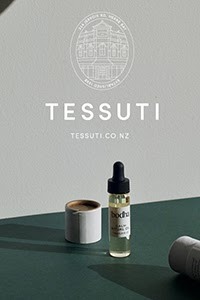 Where in NZ Michelle sells good shelving? 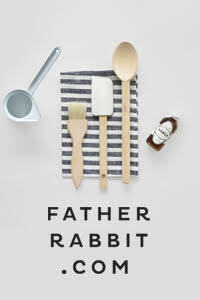 Hi Michelle, do you happen to know where I can buy the wooden wall hooks in nz? (like in your first photo)I keep seeing them pop up around the place and would love some for our bathroom.